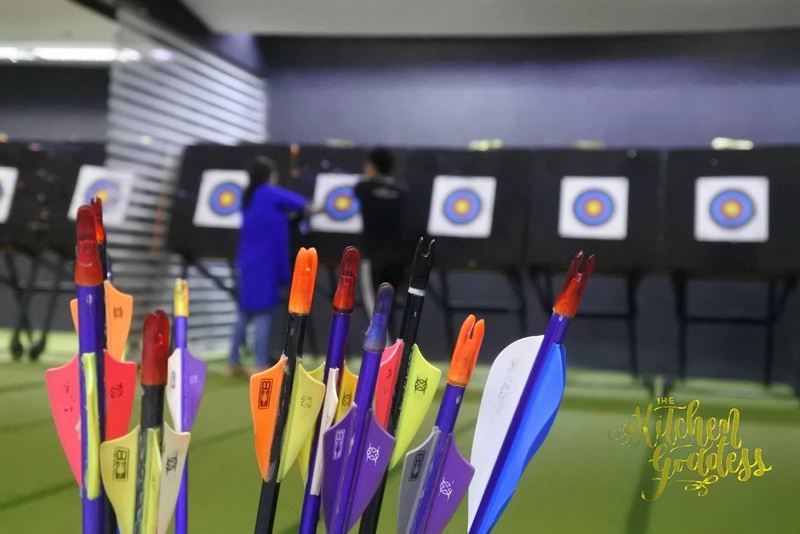 Had another round of food crawl- #EatPlayShopInTheCity SM City North EDSA where we got to try dishes from new and old restaurants plus did a bit of shopping and shoot some arrows. Being a Manilena, I don't frequent Quezon City that much so I really enjoyed the interesting mix of dining choices during the food crawl. 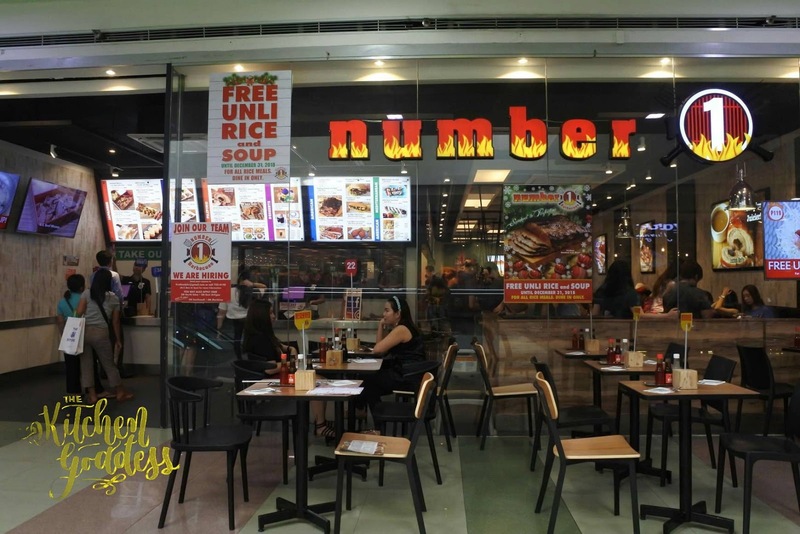 Our food crawl began at Number 1 Barbecues located at the main building of SM North. 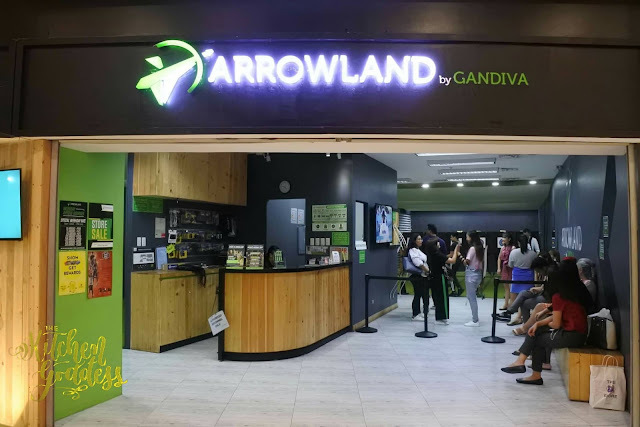 It's my first time there and we were served a several choices of Pinoy favorites. The dishes that I liked best though are the sisig and the chicken barbecue. 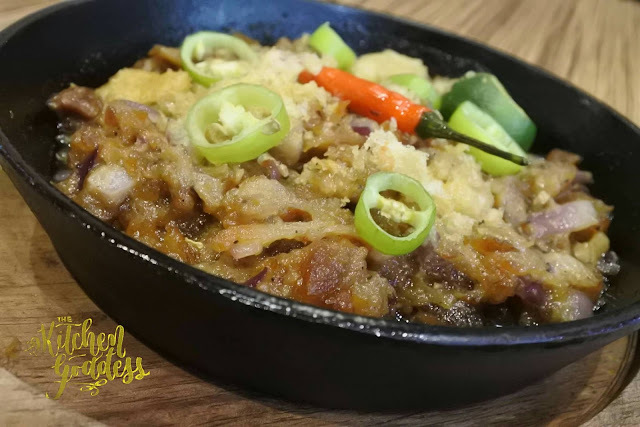 I don't see myself as a sisig expert but the one that was served to us was quite memorable. The meat has that combination of crunch and chewiness and just the right amount of spice. Of course, you can make it spicier. Glad that I didn't squeeze in some calamansi, as I think it will have a totally different taste. We were served BBQ Pecho (breast & wing part with rice). 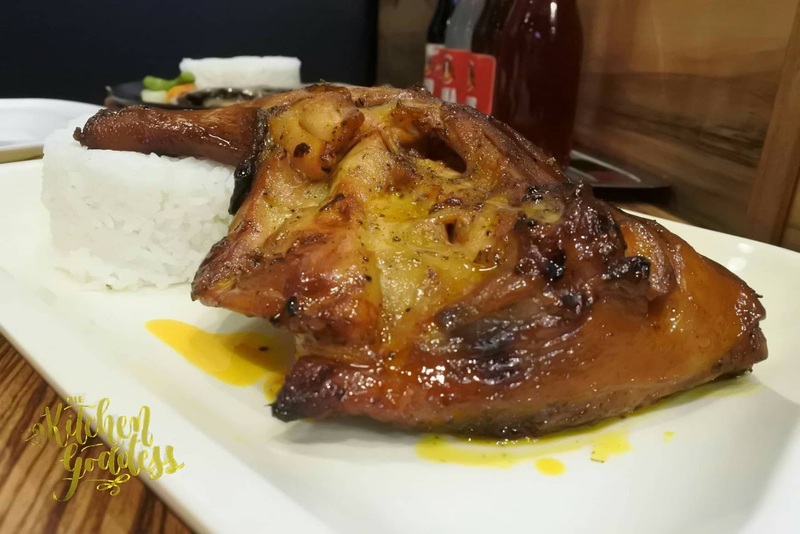 The marinade is somewhat similar to inasal and it is quite flavorful and perfectly cooked. No need for the "sawsawan" or sauce. I also like that the meat is juicy because some BBQs tend to turn dry especially if it stays long in the grill. After the delightful lunch of sisig and barbecue, our second stop was at the recently opened Ikkoryu Fukuoka Ramen. I love ramen so I am quite excited to eat here. Another reason is that I haven't eaten at Ikkoryu for a really, really long time. 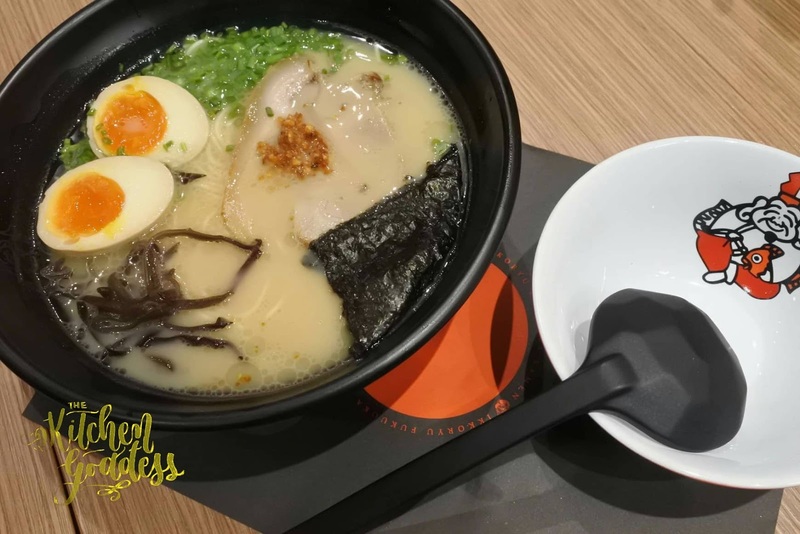 We were given several choices of ramen but what I liked the most (and I guess that it was my default order before) was the Ajitama Tonkotsu Ramen. 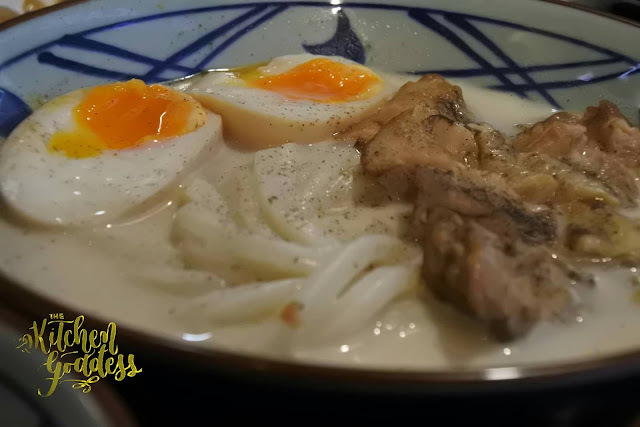 The broth itself was very flavorful and creamy, having been boiled for a long time with meat and bones and spices, and the noodles a perfect al dente. 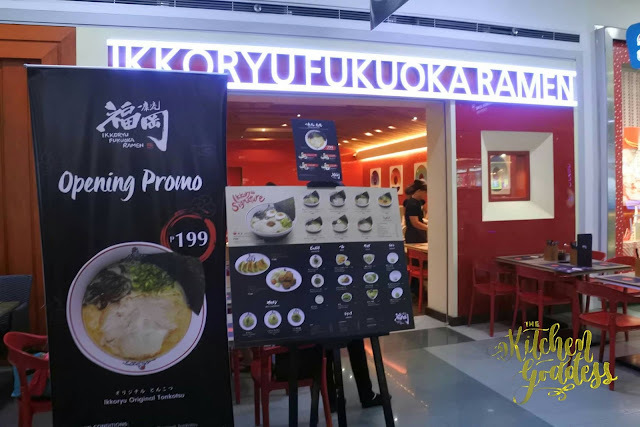 And great news for diners at Ikkoryu Fukuoka Ramen because they have an on-going promo of P199 for a bowl of classic ramen. It was time for some sweets after our ramen sesh, and we were then led to Bakeology. OMG! Cheesecake on stick! 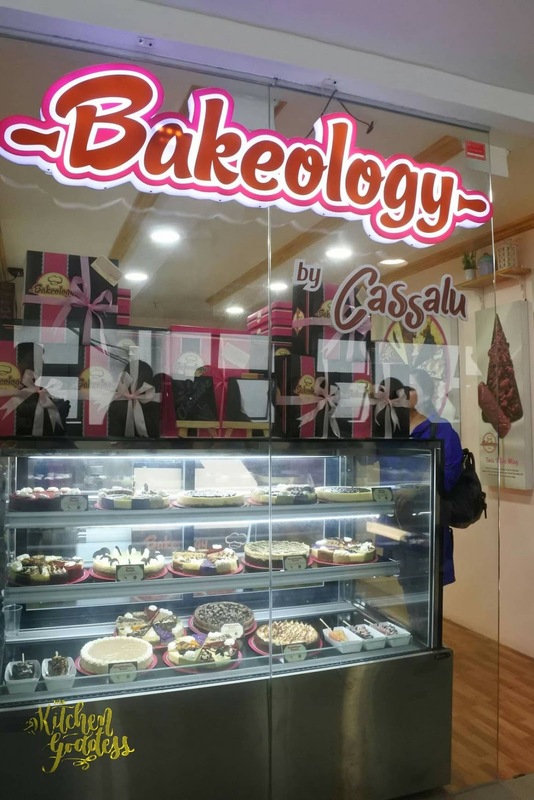 I've been hearing a lot of good things about Bakeology but haven't had the chance to try it yet so I was quite happy that it was included in the food crawl. Everything looks so good and being a first-timer at Bakeology, I had a hard time choosing which flavor to taste. I had a bit of the Oreo cheesecake and the brownie on stick. 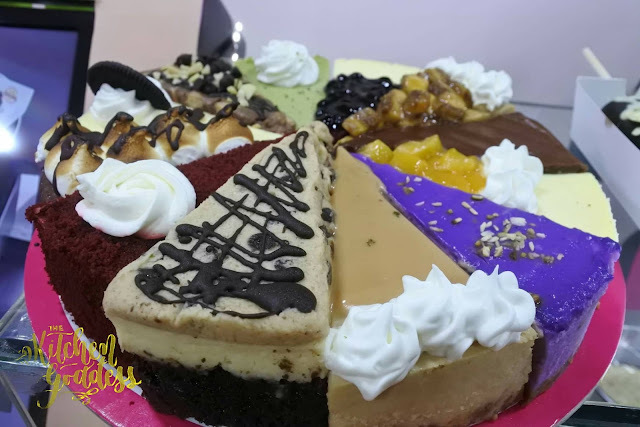 Amazing desserts! 2F Carpark Bridgeway, Main Bldg. Had a surprise stopover at SM Department Store. 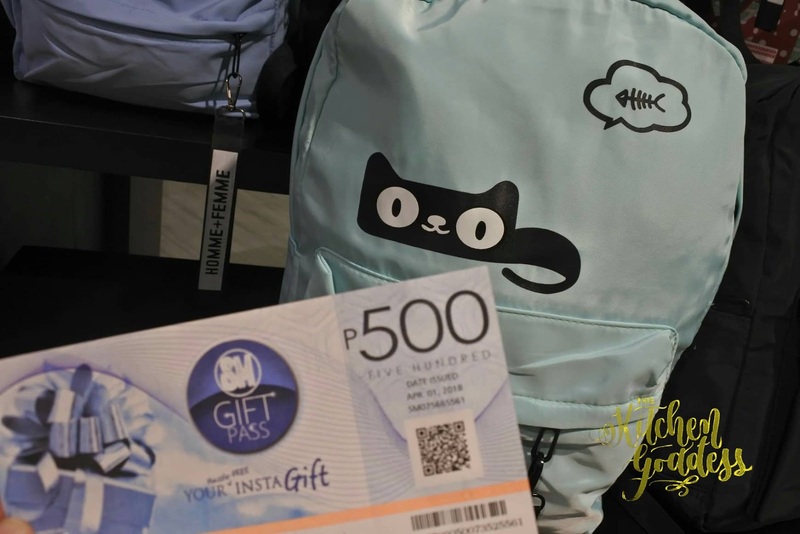 Since it is the holiday season already (yes, Manila begins the holiday season as soon as Halloween is over), each of us was given a piece of paper with some characteristics or wish list written on it and an SM Sodexo worth P500. This is a Kris Kringle of sorts. It was fun to roam around the department store although it was easy for me to decipher who my recipient was based on what's written on the paper that I got. After the quick sidetrip to the department store to buy gifts for our Kris Kringle, we enjoyed some udon and yakitori at Marugame Udon. 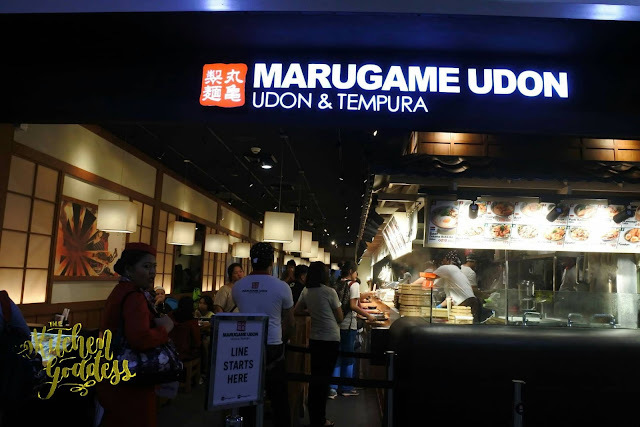 This is only the second time that I am dining at Marugame so I'm all excited (and hungry). I took fancy to this carbonara-ish udon which the exact name escapes me at the moment. I love how light the broth tasted and how the tamago lend its flavor once you mix it. It's both light and rich at the same time. There's another surprise in-store for us at the #EatPlayShopInTheCity food crawl at SM City North EDSA. Just when we're expecting another round of noms, we were led to Arrowland by Gandiva. This is the place where some of my co-bloggers discovered that they have something in common with Katniss Everdeen. "May the odds be ever in your favor." 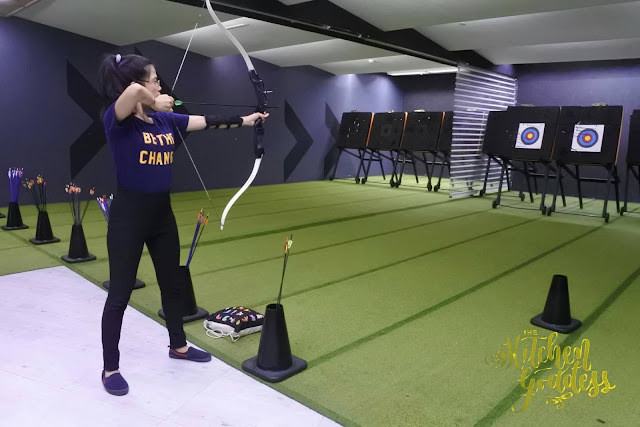 It was fun to shoot with arrows although I think that I am more attuned to Peeta Mellark than Katniss. But I was able to hit the "blue" part of the target twice. Not bad considering it was my very first time to handle a bow and arrow, and that I only use two arrows. The next pit-stop after shooting arrows was very much welcomed by every one. 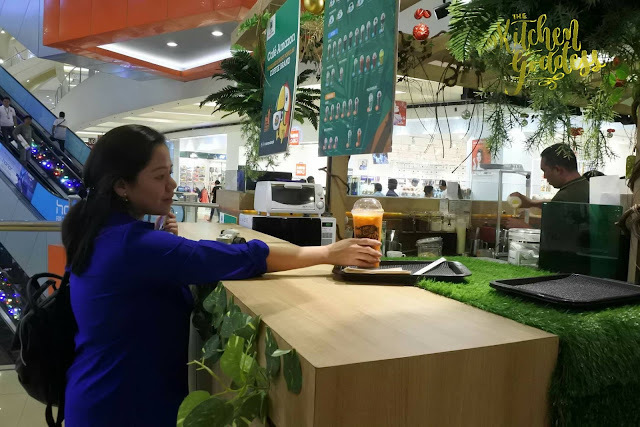 We didn't realize it but it seems that a cool and refreshing drink is what we need when we arrived at Cafe Amazon. 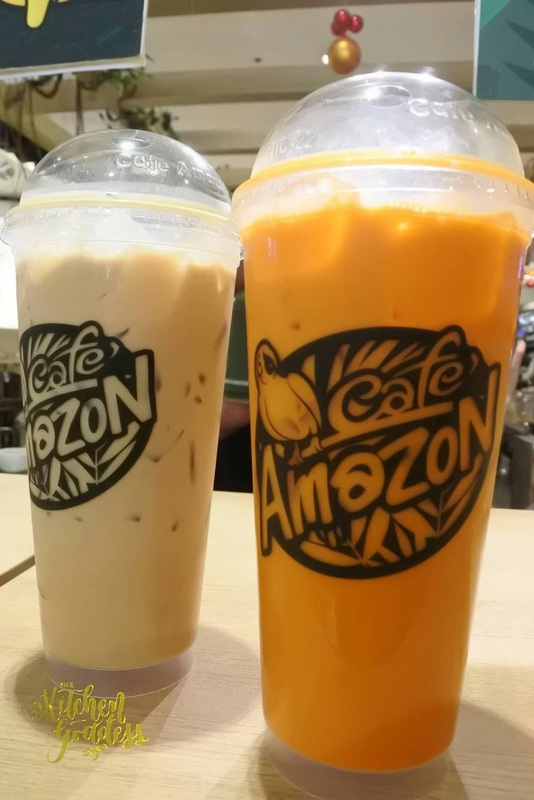 Cafe Amazon is a popular coffee/tea place in Thailand (PTT partner) and is now in the Philippines. I ordered Thai Milk Tea which tasted like the milk teas I've tried when I was in Bangkok. I suddenly miss Bangkok! Can't wait to try the other drinks. 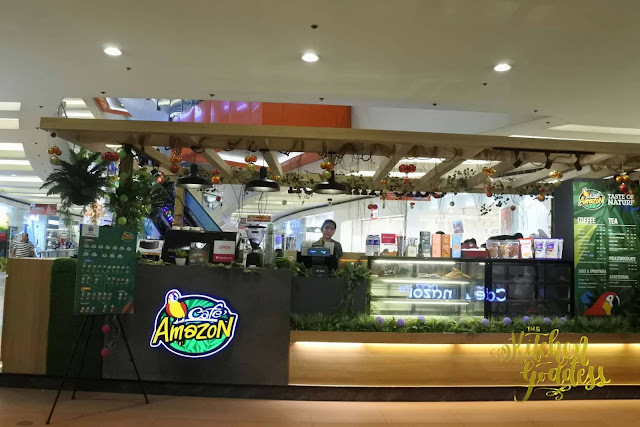 I'm now making a mental note to visit Cafe Amazon should I happen to go to SM City North EDSA again. Quite funny though that our next stop was another coffee shop. But since it is Bo's Coffee, I didn't really mind at all. 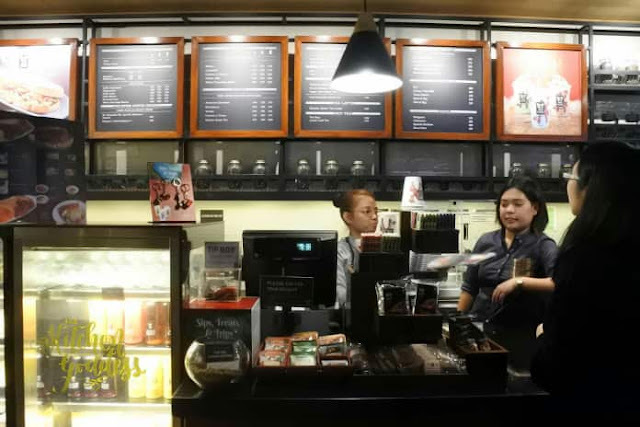 Besides, they do have one of the most delicious holiday drinks in the Metro. We were served Cold White Brew, and some pastries and pasta. 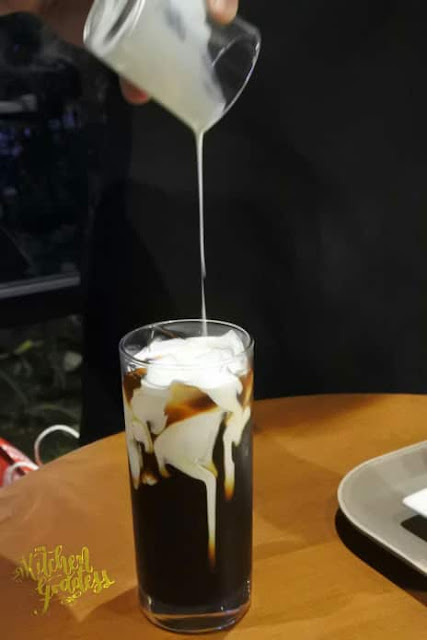 The Cold White Brew was interesting and photogenic. I didn't get to take a sip though. 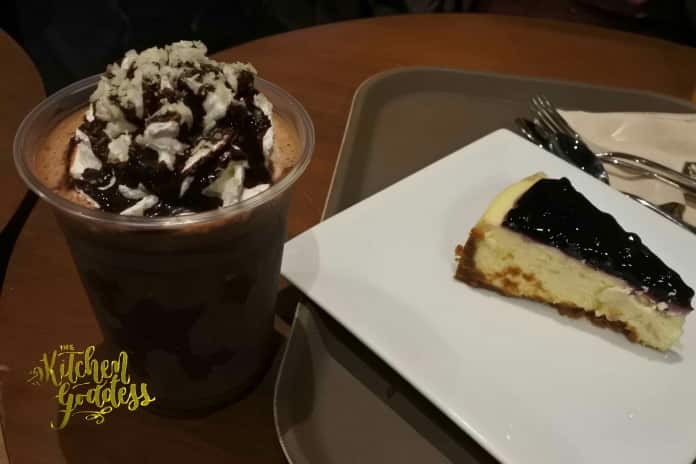 Now this is what I like- Dark Mocha Macadamia Froccino, and Blueberry Cheesecake. I've been waxing poetry over the Dark Mocha Macadamia Froccino here --- Christmas Drinks 2018. Before moving on to our 7th restaurant, we visited the SM Bears of Joy. 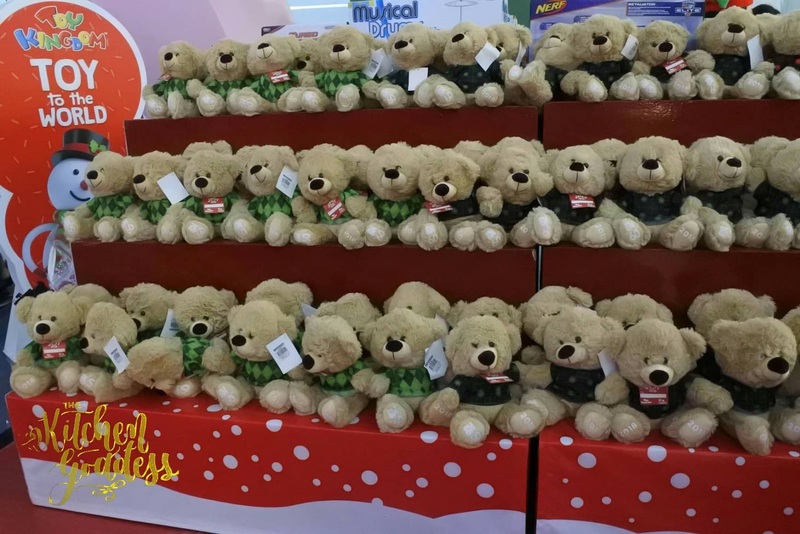 If you purchase a bear, another bear will be gifted to an orphan child under your name. 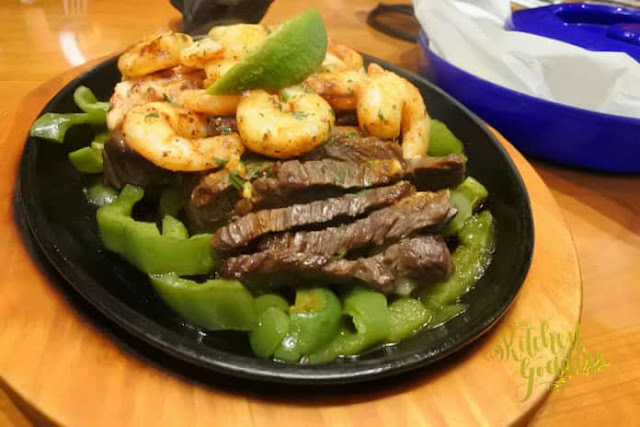 I am amazed that after tasting several dishes since our food crawl started, I still have an appetite for Chili's Steak & Shrimp Fajitas. It was also dinnertime by then so we were warned that we'd be having "heavy" meals again. Hard to resist steak & shrimp. And since it was also served on a warm plate and smells so good, it is time to dig in once again. The serving size is huge and good for sharing. 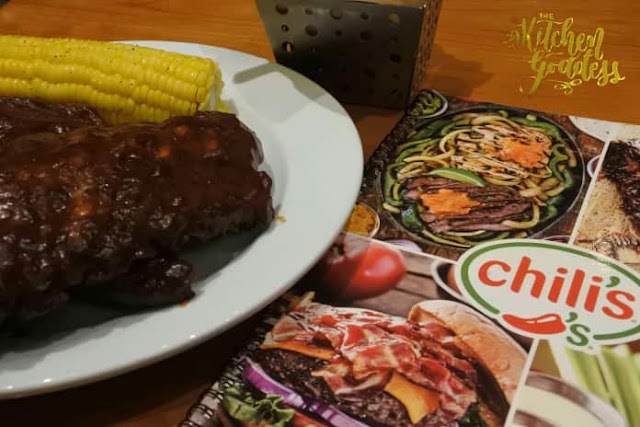 It was paired with Chili's famous nachos, and BBQ Ribs. 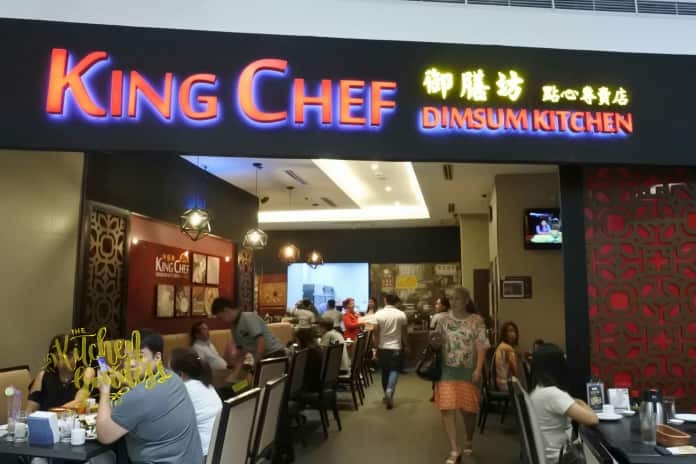 Our last pit stop was at King Chef. My mommy-mates and I used to go to their LCM branch during snack time to avail of the 50% off on dimsum. Yum! We were served this huge Chicken Chop and it was delish. I lalso love that the breading is not oily. 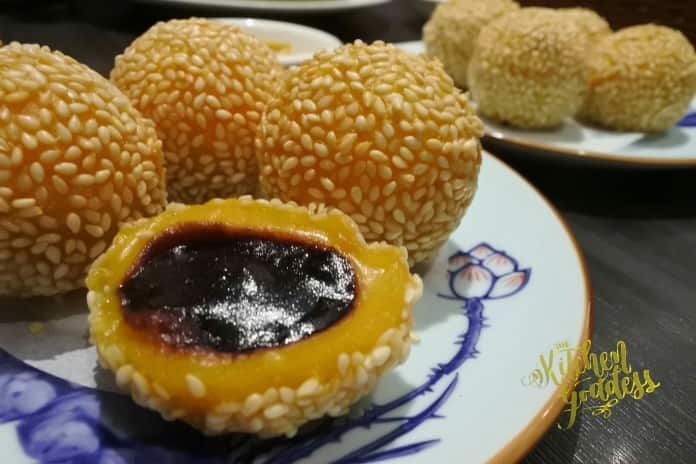 Another favorite at King Chef is the Ube Buchi. Buchi is fried mochi coated with sesame seeds. We were also served some tasty noodle soup and Xiao Long Baos. 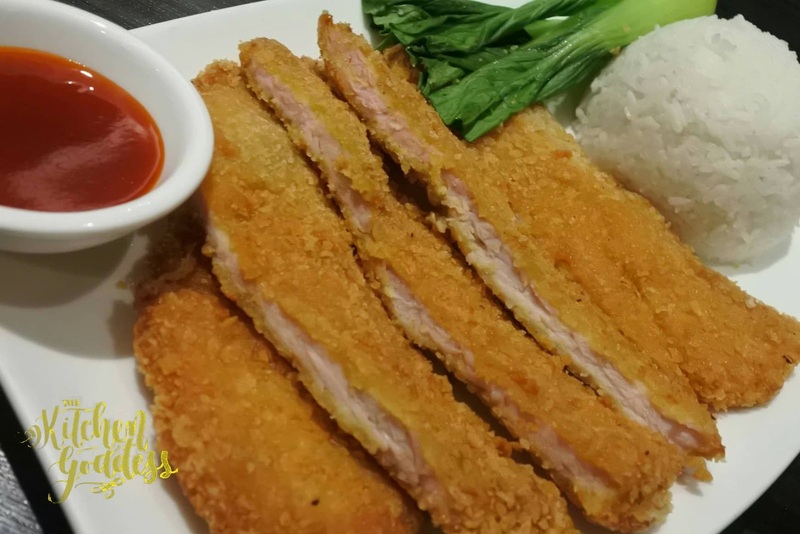 It was definitely a nice choice to end our #EatPlayShopInTheCity food crawl at King Chef.